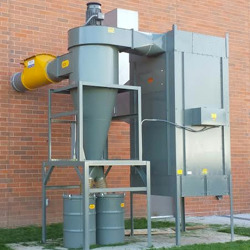 Our wood dust collection systems are designed to protect your facility and employees from the dangers of exposure from this identified carcinogen. From cyclones and baghouse units to rotary valves and downdraft tables, we offer a solution that will make your facility safer, cleaner and more efficient. Dust particles and pieces from any wood source like elm, birch, oak, ash have been identified as known causes of cancer from prolonged exposure. 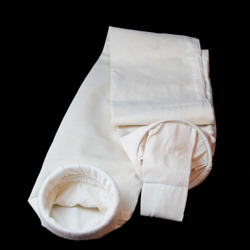 In fact, OSHA has set limits for the woodworking industry that protect employees from overexposure. In addition to the risk of breathing exposure, wood dust is highly combustible and if met with certain conditions, such as a spark or ignition source can cause explosions or fires that put the entire facility in risk of heavy damage, and make your company liable for an accident. 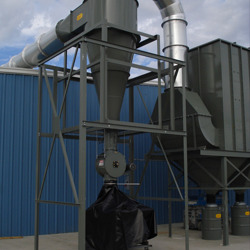 Whether you're looking to protect the air in your facility from wood dust particles, or looking for a better way to remove chips and byproduct out of your production line, Bedson REPS' range of wood dust collection products can help you. We are proud to work with Aget Manufacturing to offer their entire line of wood dust collection systems and can help you with the configuration, installation and setup of the equipment. As your partner, we work with you directly to identify your needs, diagnose the issues and create plans that will increase your facility safety. To learn more about our wood dust collection products, contact our team. Our wood dust experts will help you identify the key formula that will protect your facility or production factory from wood dust harm.